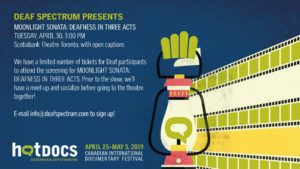 We have a limited number of tickets for Deaf participants to attend the screening for MOONLIGHT SONATA: DEAFNESS IN THREE ACTS. Prior to the show, we’ll have meet-up and socialize before going to the theatre together! 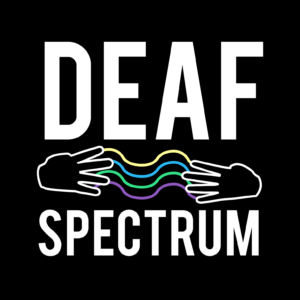 E-mail info@deafspectrum.com to sign up!